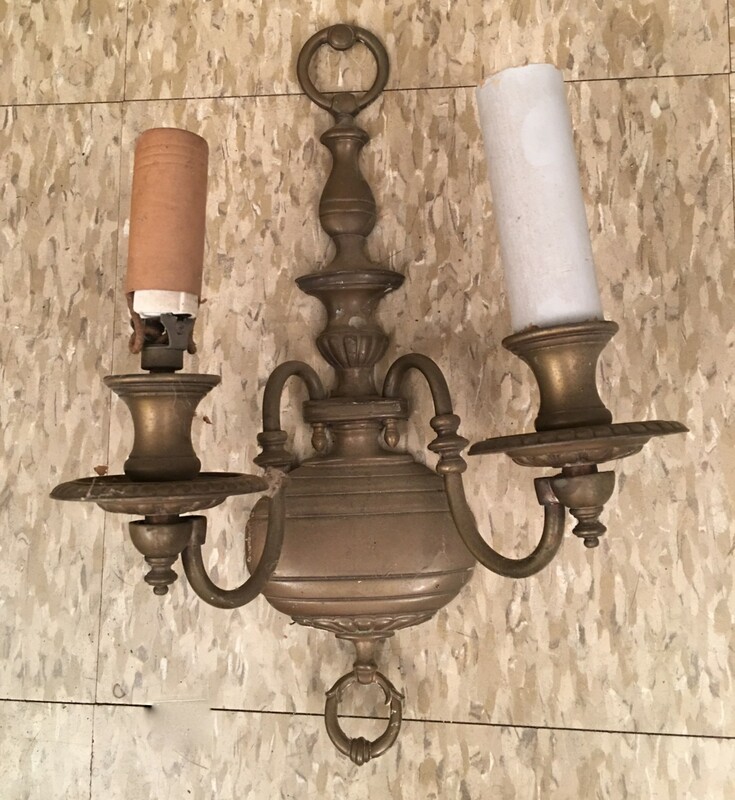 Over the many years of restoring vintage lighting I have learned to get really cautious about buying fixtures with thin tubular arms. Why? Because sometimes I cannot get the old wires out. And fewer things are more deeply vexing. 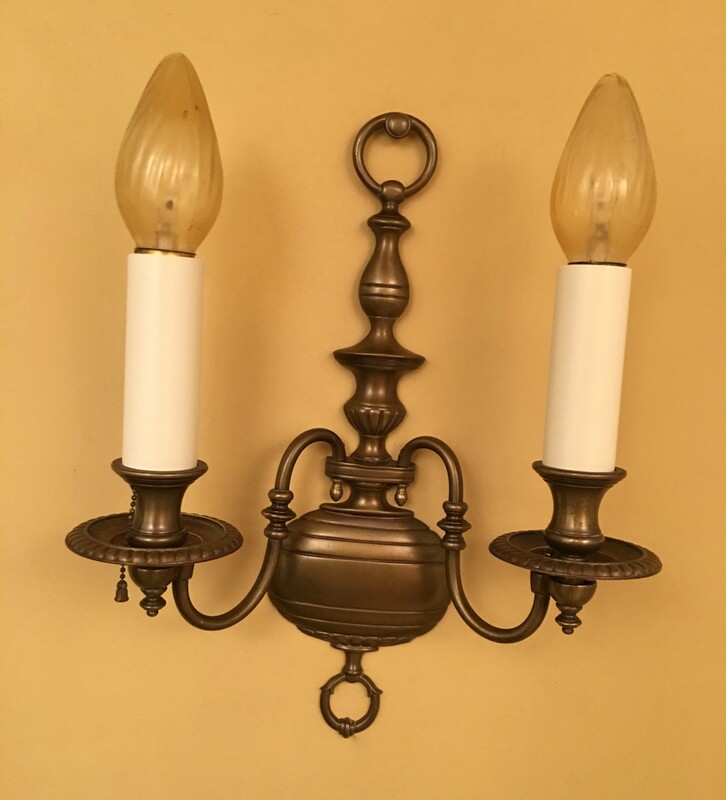 Like with the above sconce, part of a set of four circa-1930 Colonial-Revial sconces. About six years ago I tried, mightily, to get the damn old cloth wires out of the thin tube arms. But…no. No. NO! Cursing the damn sconces, I roughly tossed them in a box and shoved them into the darkest recesses of my vast storage vaults. And there they remained. However, during the ensuing years I have learned a trick or two and recently thought: Could I now rewire that damn set of sconces? I could! I did! I AM A WIRING GOD!!!!!!!! All Hail Ross, the Vintage Wiring God!! Awesome job!